Zenit won 75 – 71 against Partizan in the Round 7 of the EuroCup at the Sibur Arena in St. Petersburg, Russia. The third quarter was the key moment of the game. The Home team won, in that part of the game, with a score of 18 – 10, and at the half time, the Black and Whites team (Crno-Beli) were leading by 4 (40 – 44). The First and second quarters ended identically (20 – 22 each one of them). And in the last part of the match the result was 17 – 17. 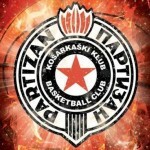 After three wins in a raw (one in the EuroCup and 2 in the ABA League), Andrea Trinchieri’s squad lost in Russia, so, it was the first loss for him as a Partizan head coach. The Italian coach took 11 players to Russia because Rade Zagorac broke his nose at the practice, so he will have to be out of court till the surgery. Also, Trinchieri didn’t want to bring the newcomer to St Petersburg (the American Small forward – Shooting guard Anthony Brown). 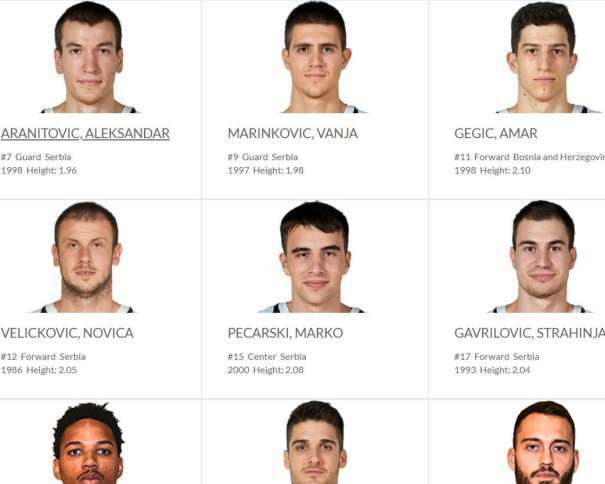 Two players scored double-digit for the guest, the top one was Vanja Marinković (SG – SF) with 11 points, while Marcus Page (Point guard – SG) added one point less. That wasn’t enough for another victory against the team from Russia (in the first game Partizan won in Belgrade with a score of 89 – 82). In the home team, Sergey Karasev scored 21, while Vladislav Trushkin scored 12 and Evgeny Valiev ended the game with 11 points. In the Round 7 of Euroleague, Olympiacos will clash with the Turkish club Fenerbahce in the Peace and Friendship Arena, in Piraeus (located within the Athens urban area). Fans from Greece are familiar with the head coach of the Turkish club, due to the fact that Zeljko Obradovic was the head coach of Panathinaikos (the Eternal Enemy of Olympiacos) for 12 seasons. Even though he was on the branch of their rival, lots of fans respect the Serbian coach. Also, their ex player, Kostas Sloukas, is now at the opposite side. But, when the Greek guard was wearing the red equipment, the club won two, from three, EuroLeague Championships. And with Fenerbahce, Sloukas won his third. The Serbian coach won’t have help from one of his main players in the game against one of the best Greek teams. His power forward – center Jan Vesely stayed in Istanbul due to great news. He became father. It was an important reason to stay in Turkey, but that doesn’t mean his teammates won’t miss him on the court. In Athens, they are ready for the game, especially because they know who is at the other side: one of the best coaches in Europe. 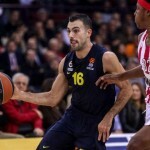 Team captain, Vassilis Spanoulis (whose transfer from the Athens Greens to the team from Piraeus happened during the Era of Obradovic) said that the x factor of the Turkish team is the coach. “They have one of the best coaches in the league. He won most EuroLeague title and he implemented his vision in the team. Everyone in their squad as playing for the team, they are not acting like individuals. We have similar vision here. Blatt (David) is also one of the best coaches and we are getting used to him, but we all know what the coach wants from us. Lots of us are together for a long time, and we know to play in the EuroLeague games. 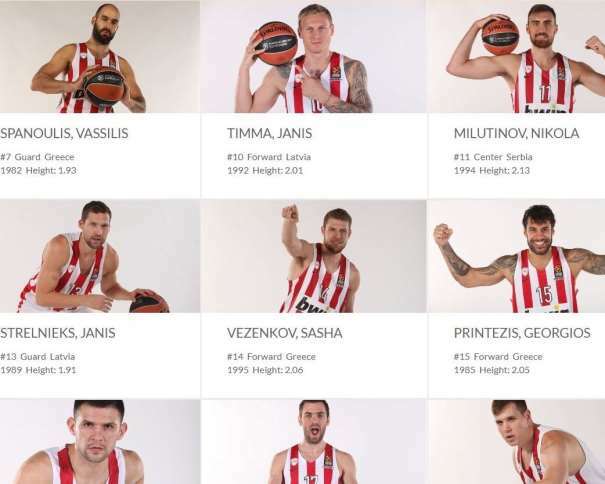 Newcomers adapted to our system and are ready for the challenges”, said Spanoulis to the media from Greece before the clash against Fenerbahce. 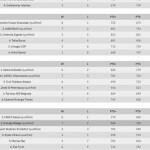 After six rounds, the Turkish team has 5 wins and 1 loss, while the squad from Athens won 3 and lost 3 games.